Ray Pasquale, CEO of Unified Office, spent several years of his career working at Sonus Networks, Cascade Communications and other vendors that made switches and other hardware to move voice calls more economically and intelligently across telecom and IP networks. Once he was out of the box business, Pasquale tried some out-of-the-box thinking. His now eight-year-old company, Unified Office, gets high marks for offering high-quality voice. 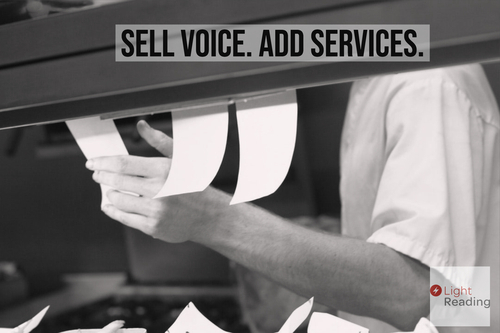 But everything about how and why it sells voice services makes it sound like a modern managed services provider. The company's VoIP network is homegrown. It wrote its own software for virtualized voice switching, routing and session border control, Pasquale said. The company rents servers in data centers all over the country, terminating SIP trunks in the cloud and only delivering a small, Linux-based server to each customer premises location. Pasquale said his company even wrote and patented its routing protocol -- Highest Quality Routing Protocol (HQRP) -- so it could always calculate the best possible route through the network. In software, the company controls everything about how its network behaves. On the ground, it uses distribution and installation partners -- Graybar, Arrow and TeamLogicIT -- to keep its headcount steady and costs low. To the incumbent telecom carriers, Pasquale is just another business customer. "We buy a pool of minutes, and we don't make any money marking up minutes -- it's a pass-through cost," he said. To his small business customers -- pizza chains and dentist offices and other businesses that still rely on incoming phone calls for revenue and orders -- Pasquale is a tech business problem solver. "People pay us to be a managed service provider," he said. Others have noticed, too. Dan Smith, one of the founders of Sycamore Networks and Cascade Communications, is chairman of Unified Office's board -- and is likely an investor (Pasquale wouldn't name his backers). Once Unified Office began providing a business with voice service, Pasquale said he was eager to add monitoring, support, business analytics, behavioral analytics and custom applications to help his customers make money. And when they make money, they grow to more locations and buy more services. "We leverage the voice component now to build layered services, like the Internet of Things," Pasquale said. Unified Office's biggest pizza franchise customer, MAR Pizza, is the case study for how it does business. MAR Pizza owns more than 70 Domino's Pizza stores in Los Angeles, Chicago and South Carolina. Thanks to Pasquale, its voice phone system is now integrated with the company's point of sale systems, and the business owners can see how sales are impacted by operational issues. Before Unified Office, the business was losing customers because it never had any idea how many calls it was missing due to busy signals. Pasquale said his system's virtualized infrastructure scales to handle any call volume and every call is answered. What's more, each store can see how fast it is answering calls, how many calls are coming in and other helpful performance metrics. In at least one instance, a phone outage due to construction caused orders from one store to overflow to another nearby. "In our cloud, we can reroute calls dynamically or manually," Pasquale said. In each store, there's no need to break the bank on expensive T1 lines or dedicated circuits. Cheap, plentiful broadband will do and Unified Office does the rest -- and it fails over to the regional carrier's LTE network for backup. In the US, Domino's Pizza said it generates about 60% of its sales via mobile app and desktop orders. Pasquale said that for stores located around universities, online ordering is nearing 100%, but the value of the phone system paradoxically grows more important. When those normally all-digital customers call, it's because "their order didn't show up or the driver gave them the wrong order. And you must answer those calls equally as well," Pasquale said. 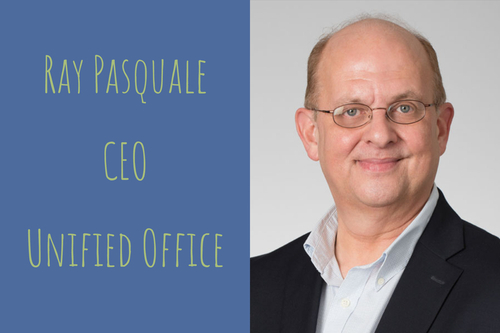 Once Unified Office had its pizza shop customers looking at metrics and using its portal, Pasquale kept adding services. "I'm constantly watching refrigeration temperatures out in our quick-serve restaurants," he said. A big franchise owner with hundreds of "make tables" (refrigerated food prep tables) in restaurants across the country needs to keep gear running well to prevent food spoilage. Pasquale said his company now monitors those systems -- and walk-in freezers -- via IoT devices and integrates it all into its existing dashboards. The makers of prep tables and freezers have their apps for remote monitoring. But "each one comes with their own walled garden," Pasquale said, which complicates operations for the business owner. "He doesn't want to use 55 different apps and portals," he said. Pasquale said he's not stopping at IoT, either. Soon, he intends to start reselling IBM Watson products as part of a larger strategy to provide sentiment analysis and help companies detect emotions like happiness or displeasure for customer service and employee training purposes. Like all its other software applications, Pasquale said Unified Office would resell other technology at first, but plans to write its own code to keep costs down for its customers. Pasquale said you could learn a lot by having AI analyze a restaurant chain's 50,000 recorded calls and looking for anger, frustration and other indicators of customers satisfaction. For Unified Office, it'll be an investment and an integration challenge. For its customers, though, the whole thing will be a simple pulldown menu or a box to check in its operations portal. In Pasquale's view, good voice quality and owning every process in the network have set his business up to provide real data-driven, recurring revenue services. "We're monetizing voice -- that's true," said Pasquale. "But imagine if we had tried to do all of this with broken, dropped-call-VoIP; it'd be garbage in, garbage out -- and nobody'd buy any of it." As he starts flipping through his phone for details about his next appointment, Pasquale concedes that it is tough to describe what his business actually does. "Does this sound like a phone company? It sounds like a communications technology company, but I... I don't know what to call us." Unified Office doesn't sell bandwidth. It doesn't move bits. It makes money on voice as an application, but also as a platform. It definitely doesn't sell boxes. What Pasquale argues that Unified Office does best, is to make life easier for those companies are that generally in a telecom carrier's blind spot. "Everything we do is based on trying to be simple -- simple and elegant -- and it's the hardest damn thing in the world to do," he said.